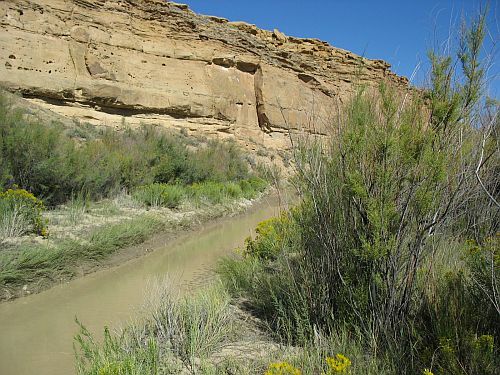 Sand Canyon Pueblo, which I discussed in the previous post, is one of the best-known prehistoric communities in the Southwest due to the multi-year research program conducted there by Crow Canyon Archaeological Center in the 1980s and 1990s. 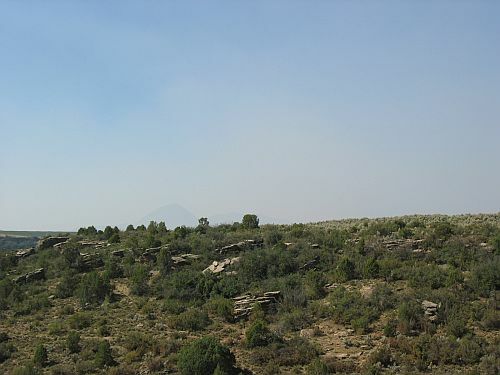 Crow Canyon selected it for this research for a variety of reasons, including its short period of occupancy and its status as a typical example of a “canyon-head village,” a common settlement type in the Northern San Juan region during the thirteenth century AD. One of the highly characteristic features of a canyon-head village that Sand Canyon has is the site-enclosing wall which extends around almost all of the architecture at the site. As Bruce Bradley noted in the 1993 paper that I discussed earlier, this wall seems to have been built as a communal effort early in the occupation of the site, perhaps at the very beginning, and the other parts of the site that have been excavated were built into the space already enclosed by the wall. The wall thus served to define the boundaries of the community and to determine where subsequent construction could occur. This appears to have been one of the main purposes of walls in the Northern San Juan region more generally. In 1997 Susan Kenzle published an article surveying information available about walls at a wide variety of communities in this region. Based on published reports on 88 sites, 41 of which have walls and 47 of which do not, she did some statistical tests of various other features of the sites and came up with some proposals for the functions of the walls in the villages that had them. The two main categories of functions she proposed were “sociophysical boundaries” and defensive fortifications. Under “sociophysical boundaries” Kenzle basically subsumes a variety of functions of walled or enclosed space, based largely on the environmental psychology literature. These mainly revolve around control of who can access a community and what they can do there, particularly in the context of separating “insiders” (i.e., residents of the community) from “outsiders” (e.g., peaceful visitors coming to trade or enemies attacking). Restricting access to and information about the resources in the community, such as food stores or water sources would be one major purpose for trying to control access this way. Ensuring privacy for the residents, which may have become increasingly important as previously dispersed communities began to aggregate into dense villages during this period, is another possible reason. Kenzle notes that in many societies, including our own, walls or fences associated with individual dwellings can serve to increase privacy for households living close proximity. 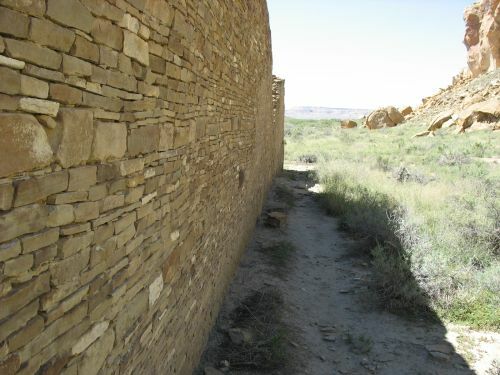 Another obvious purpose of walls like the one at Sand Canyon is as defensive fortifications, and Kenzle devotes considerable attention to this idea. 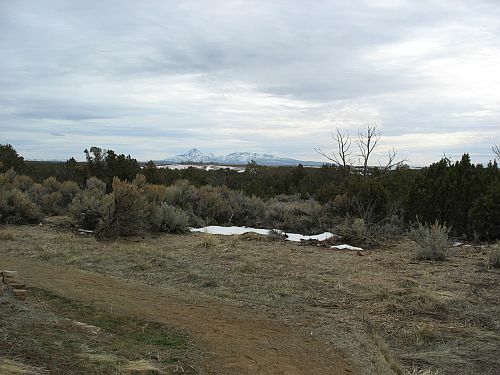 She evaluates the plausibility of a defensive interpretation of the walls at these communities by looking at the research on defensive fortification in general and finds that the walls do indeed meet many of the criteria identified for effective fortifications, especially in combination with other community characteristics such as defensible locations (including canyon heads and rims) which correlate in her sample with presence of walls. Specifically, many of the walls were high enough to serve as effective cover for defenders while also serving as obstacles for attackers, and they also tend to have few openings, which reduces the number of ways in available to attackers and makes it easier for defenders to guard the entrances to the community. There are a few arch-shaped projections in walls that may have served as bastions, allowing defenders to fire on attackers from the side in addition to the front. 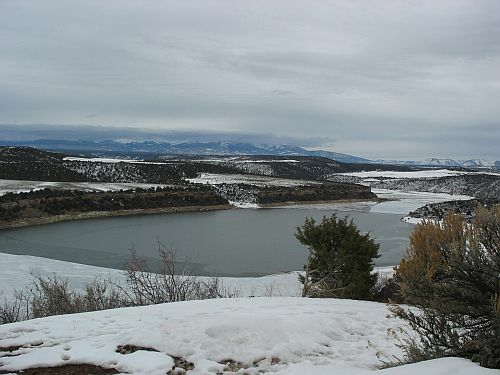 There is also one example, at Sand Canyon, of possible loopholes through which defenders could have fired unseen, although is is unclear if this is what these holes were actually for. 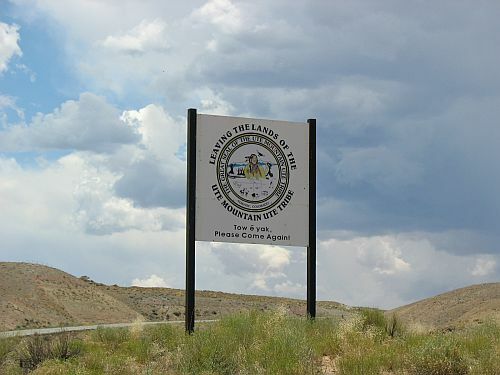 While this is apparently the only known example of possible loopholes in the Northern San Juan, I know that there are some other possible examples elsewhere in the Southwest. 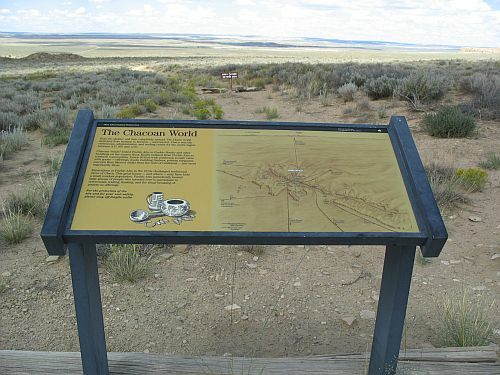 There are apparently some alleged loopholes at Wijiji in Chaco Canyon, although I’ve never noticed them myself. There are also small holes in the walls of various other sites in the region which could possibly be loopholes, although it can be difficult to tell these from vents or holes for roof beams. Other aspects of defensive systems involving these walls include the numerous towers found throughout the region at both walled and unwalled communities from the twelfth and thirteenth centuries and protected water sources, also typical of these communities. Kenzle also summarizes the extensive evidence from a variety of sources for violent conflict in the Northern San Juan during this period, which further supports the idea that the walls were largely defensive. The people certainly had something to defend against. Whether the walls were successful at defending the communities is a different matter, and one Kenzle doesn’t really address. 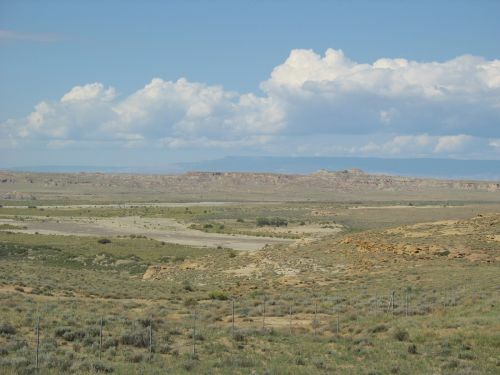 It’s worth noting that some of the walled communities, Sand Canyon included, show evidence of violent death suggesting that they experienced successful attacks which in some cases seem to have ended site occupation entirely. 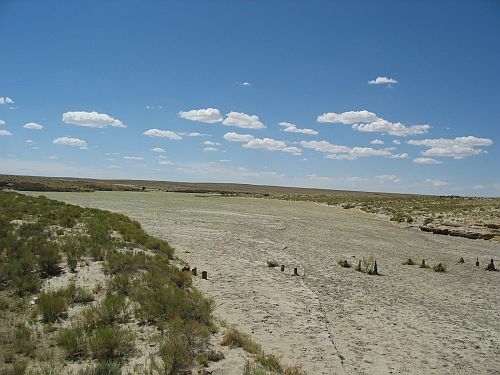 It’s also noteworthy that after the Northern San Juan region was abandoned entirely around AD 1300 the wall tradition does not seem to have been carried on by the people who left the region for other parts of the Southwest such as the Rio Grande Valley, where the preferred form of defensive settlement pattern seems to have involved massive sites with enclosed plazas surrounded by roomblocks with little or no exterior access. This pattern was carried on well into the historic period, so it seems to have been fairly successful, although there are still examples of communities like this this being successfully attacked. 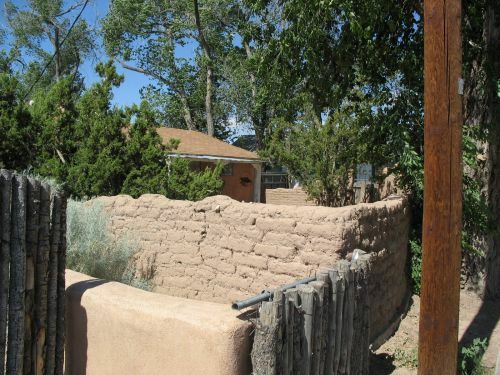 Kenzle does note that the more recently occupied pueblos of Pecos and Taos both have walls. 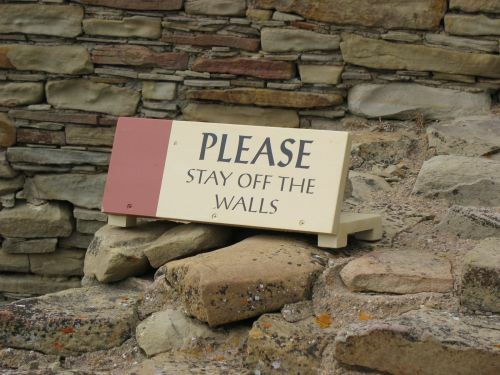 In the case of Pecos she implies that the function of the wall may have been more symbolic as a social boundary than practical as a defensive feature. 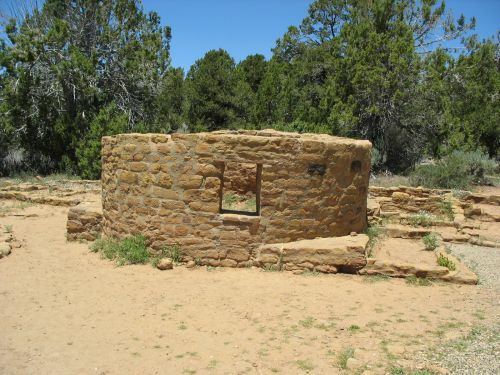 In the historical period members of Plains tribes who came to trade at Pecos were not allowed to spend the night within the wall, a social boundary that they apparently respected but also presumably a defensive precaution. At Taos the wall apparently dates to the eighteenth century and was initially defensive, used for fending off Comanche raids. Interestingly, it also apparently had loopholes. 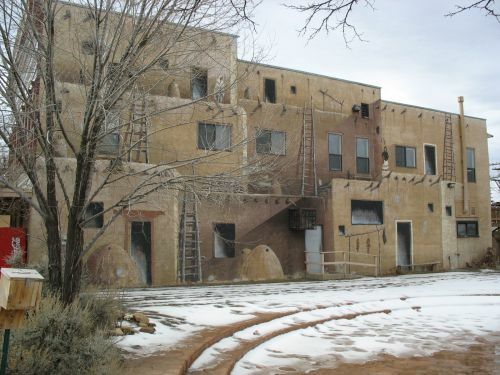 After defense was no longer such a concern the wall was reduced in height and began to serve as more a symbol of Taos culture and a boundary meant to metaphorically defend that culture from Anglo influence. In both cases it is unclear if there is any continuity between these walls and the earlier ones in the Northern San Juan. None of the other modern Pueblos have walls. This paper is an interesting examination of a topic that had not previously been given much attention, despite its importance to a variety of other issues in Southwestern archaeology, including the aggregation of communities, the abandonment of large areas, and the role warfare may have played in these processes. 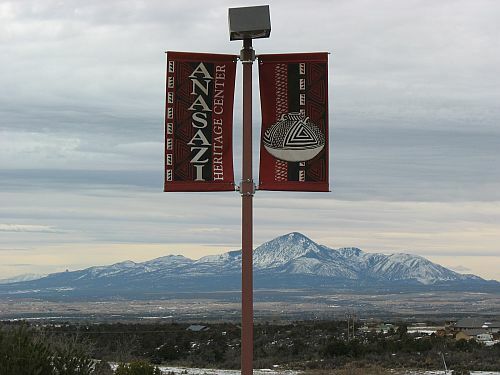 The strength of Kenzle’s conclusions is limited by the poor quality of much of the information on the sites in question, but that is a constant issue in Southwestern archaeology and she takes it into consideration by being appropriately tentative about her conclusions. 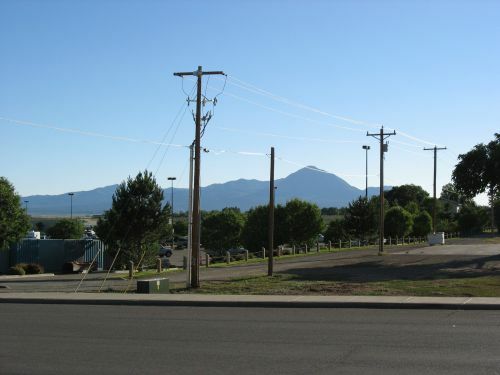 When I was working at Chaco and would tell visitors that I was going to graduate school for city planning, most people would remark on what a difference that sounded like. And, indeed, there are a lot of differences between my life when I was at Chaco and my life here at school in New Jersey. There’s a considerable amount of continuity, however, between what I learned there and what I am learning here. Archaeologists and planners actually deal with many of the same issues, just in very different contexts. Land use and the interactions between people and their environments are among the topics that are at the core of both fields of study. And yet, the two rarely meet. It’s like they are operating in parallel, looking at the same issues but evaluating them with different methods and often coming to different conclusions. On the rare occasions when archaeologists and planners talk to each other about their shared interests, it generally seems that archaeologists are by far the more thoughtful and serious about them. There’s a real sense of superficiality about most of the planning theory I’ve been learning about in this program, which is perhaps unsurprising given that the profession is more action-oriented and focused on practical solutions than archaeology, which takes a more detached, descriptive, academic approach. Nevertheless, I’ve come to believe that acting decisively on limited information and poorly considered analysis is worse than not acting at all, and that there’s a lot that planners can learn from archaeologists about how people actually live and interact with their surroundings. There are other disciplines that study similar issues in a more rigorous fashion than planners do (it would be hard to do so in a less rigorous fashion), such as sociology, economics, and geography, but in contrast to those approaches, which tend to be limited to the analysis of societies with extensive written records, archaeologists have a much vaster set of data on human settlements over immense time scales. And yet, planners don’t bear all the blame for the lack of integration between their ideas and those of archaeologists. While many archaeologists have studied settlement patterns, land use, and other topics that are of interest to planners, few have synthesized and presented data and interpretations in a way that is accessible to anyone outside of archaeology. A lot of the most interesting descriptive archaeological research ends up hidden away in the “gray literature” of cultural resource management reports presented to clients who are only paying for the work because it’s required by law and who don’t care about making it available. Even the research published in more accessible forms tends to be couched in nearly impenetrable jargon, so that seeing connections to issues of concern to professionals in other fields requires considerable experience with archaeology, which those professionals generally don’t have, of course. One thing I see myself in a good position to do, then, is to help make these connections. Since I’m familiar with the archaeological literature, situated in a planning school, and in possession of this blog as a mouthpiece, I feel like I can let the planners know what the archaeologists have to say and hopefully eventually try to draw some lessons from archaeology that will be useful for planning. I’m not at the lesson-drawing point yet, but I think I’m in a good position now to try to relate archaeological data to planning issues. A useful place to start is with one of the few archaeological articles out there that actually analyzes data relevant to planners’ concerns in a way that makes it easy to show that relevance. 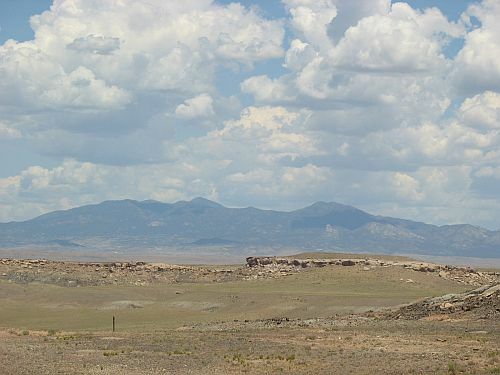 This article was published in 1993 by Bruce Bradley and it reports on work done by Crow Canyon Archaeological Center at Sand Canyon Pueblo in southwestern Colorado. 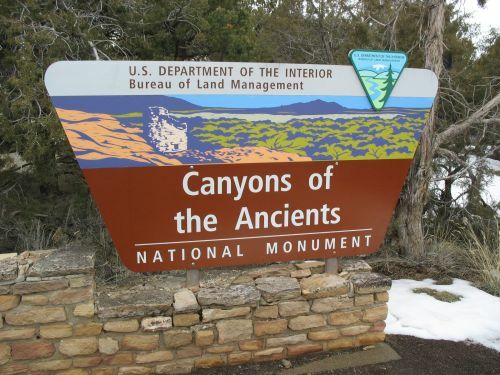 Crow Canyon is an exception to the tendency I noted above of archaeologists not making their research generally available; they have huge amounts of information about their excavation projects and other work on their website. 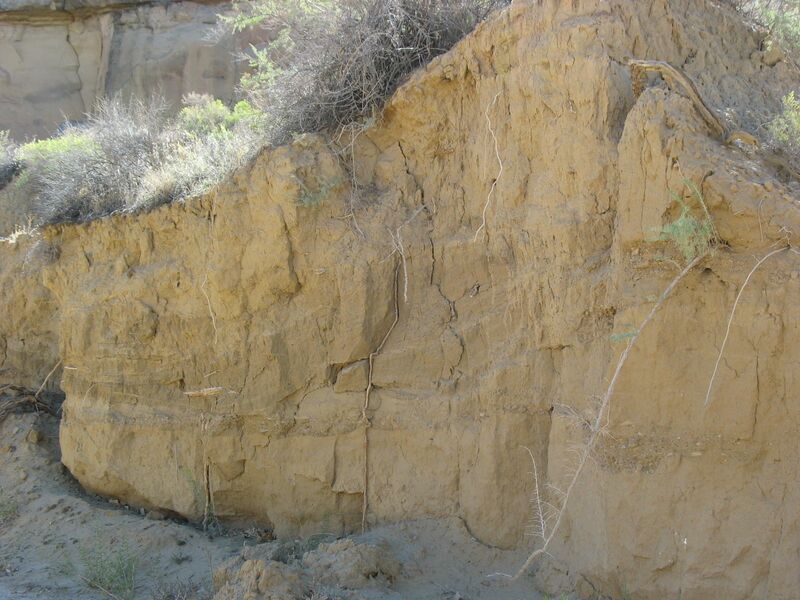 In this paper, Bradley analyzes data from excavation in various parts of the site to determine its implications for land use within the Sand Canyon community. The results are striking. 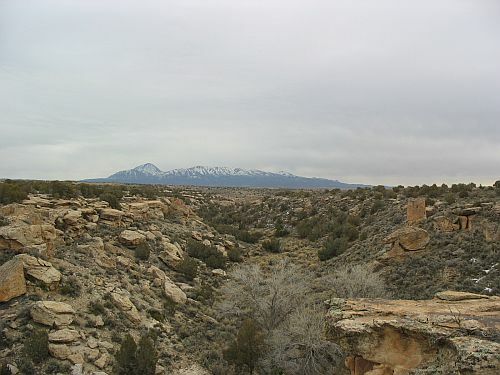 Sand Canyon is a classic example of a “canyon-head village” of a type common in the greater Mesa Verde area in the thirteenth century AD. It seems to have been built, occupied, and abandoned within a quite short period, probably between AD 1230 and 1280, which makes it a useful site for analyzing land use synchronically because there is much less confusion caused by change over time than in communities that were occupied for longer. The site is built around the head of a canyon with a spring in the center of it. This spring would presumably have provided domestic water for the community and was probably the reason for the village being built where it was during a period when people throughout the region were aggregating into larger and larger communities, perhaps for defensive purposes. 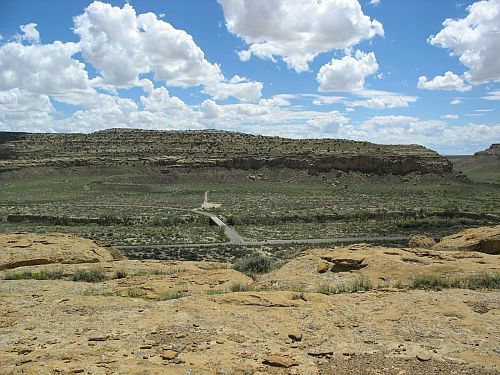 One of the most striking features of Sand Canyon Pueblo, highly suggestive of defensive concerns, is a large wall that encircles virtually the entire built-up area of the site. As Bradley discusses, this wall seems to have been built rather quickly using rocks and mud that were easily available nearby. The type of mud used for mortar in the wall is unlike that used anywhere else at the site for mortar, although it was often used as construction fill, and the masonry of the wall is rough and shows little attention to its appearance, again unlike most other masonry at the site. The scale of the work effort that would have been necessary to build the wall suggests that it must have been a community effort. Most of the work described in Bradley’s article was excavation of a few contiguous rooms in each of six of the fourteen roomblocks identified in the site. Each of the fourteen roomblocks was first given a rough classification based on the apparent ratio of regular rooms to kivas. Kivas are rooms, usually but not always round, with special features that have sometimes been interpreted as ceremonial but here are defined purely in formal terms without reference to postulated function. Roomblocks were divided into “standard” (ratio of kivas to rooms near average for the whole site), “room-dominated” (ratio of kivas to rooms lower than average) and “kiva-dominated” (ratio of kivas to rooms higher than average). Only one block was designated as room-dominated, while six were designated as standard and seven were designated as kiva-dominated. 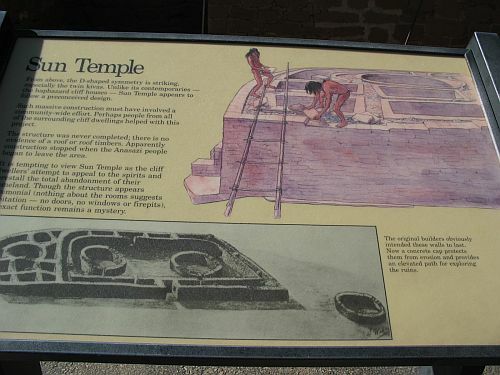 Interestingly, six of the seven kiva-dominated blocks as well as the one room-dominated block were on the west side of the site, which also had a great kiva and a D-shaped structure similar to the Sun Temple at Mesa Verde, both of which were likely community-scale public facilities of some sort, while four of the six standard blocks were on the east side. This suggests some sort of spatial differentiation of the formal types of structures, but whether this corresponded to a functional differentiation couldn’t be determined just from surface evidence and required excavation. Excavation was done in the one room-dominated block, three kiva-dominated blocks, and two standard blocks. The sets of rooms excavated were generally selected based on resemblance to the classic “unit-type pueblo” that is a common form for earlier sites throughout the region. 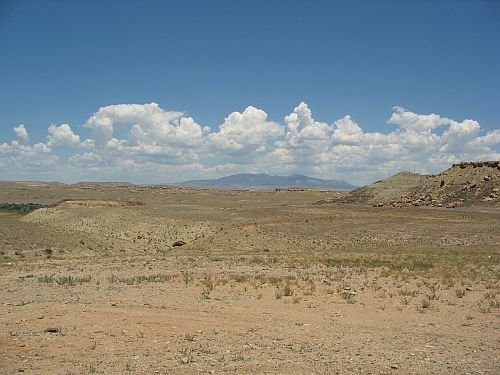 These sites typically consist of one or two kivas and a few associated square rooms. 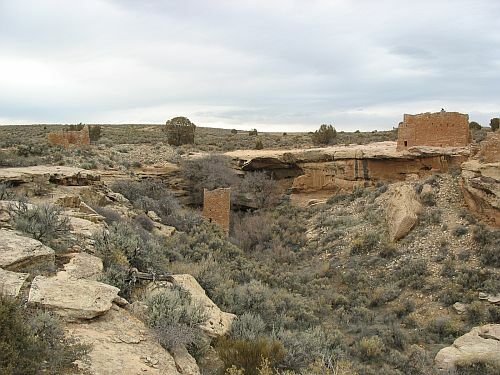 In the context of Sand Canyon, excavation units consisted of sets of rooms suspected to comprise “kiva suites” consisting of a single kiva and all rooms associated with this kiva. Bradley is careful to note that this “kiva suite” concept “may or may not be equivalent to” the unit-type pueblo, but there is clearly some similarity and the underlying idea is that a large aggregated site like Sand Canyon may be made up of a bunch of unit-type pueblos “stuck together.” Since each excavation unit consisted of a kiva and some square rooms, they were not all necessarily typical of the room blocks in which they were located, which may have been kiva-dominated or room-dominated as well as standard, which is the type that most closely matches the kiva suite ratio. The construction histories of the excavated units were also noteworthy. The ones in close proximity to the site-enclosing wall were all clearly constructed after the wall was already there, and in some cases other structures such as towers were also present before construction of the kiva suites began. Each of the suites seems to have been constructed gradually, generally with the kiva and a few rooms being built first and additional rooms being added on as needed, rather than at once as a unit in accordance with a preconceived plan. The level of construction effort involved in each suite was such that they were probably constructed by individual families and expanded as needed by changes in family demographics. Although growth by accretion is indicated within individual kiva suites, and probably within architectural blocks, there is evidence that the overall layout of the site was planned. The construction of the site-enclosing wall, in relation to cliffs and ledges, preconditioned the spatial organization of the individual architectural blocks to some extent. Furthermore, the spacing of the architectural blocks in relation to each other, the central plaza, the D-shaped multi-wall structure, and the great kiva may indicate that there were planned zones of construction, and that they may have been dedicated to specific uses and functions. If this is an accurate assessment, the east side of the site functioned primarily as a habitation area, while the west side was more specialized in function. This is seen in the spatial relationships of kiva-dominated blocks with public architecture and in the apparent lack of these relationships between most of the standard architectural blocks and public spaces. This is evidence of overall planning at the site level in which the location of architectural blocks was anticipated and the allocation of habitation, specialized function, and public areas was predetermined. Rather than total site planning at the architectural unit level, this pattern most closely resembles functional zoning. I trust the relevance of this to modern planning is obvious. 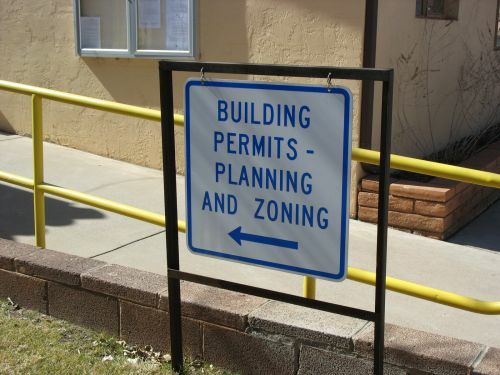 Local government action to zone specific areas of a city for specified uses, with actual construction left up to individual landowners except in the case of public buildings, is how the planning system has worked in the US since the 1920s. Obviously there’s no direct connection between this and whatever was going on at Sand Canyon in the 1200s, but the parallel is fascinating and definitely worthy of further study. 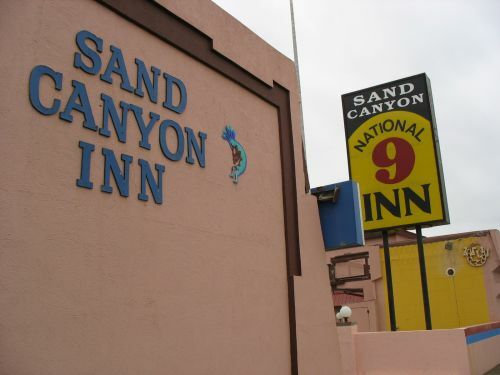 Why did the people at Sand Canyon apparently seek to organize their land uses this way? Was it a longstanding tradition that just hasn’t been recognized before because no one has looked for it? Was it an innovation by the people of this specific community, or by a larger cultural group in the area? 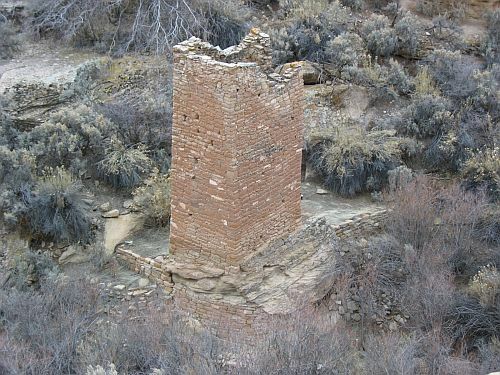 Did this pattern continue once southwestern Colorado and surrounding areas were abandoned around 1300 and their inhabitants moved elsewhere? Bradley notes that more research seeking to determine how widespread this type of zoning was and how long it was used would be very helpful in understanding it here. Unfortunately, as far as I know no one has followed through on this by conducting similar studies at other prehistoric communities, although there may be some work along these lines with which I am unfamiliar. 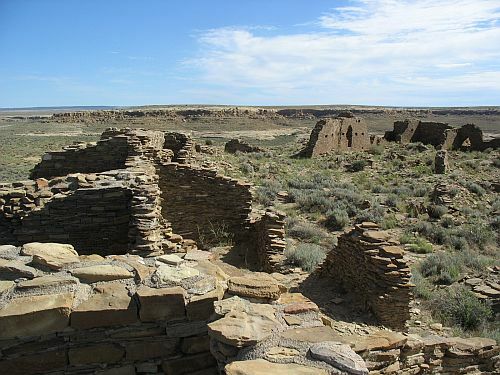 Bradley suggests that this type of intracommunity functional separation, if not a longstanding pattern in the Southwest, may be associated with the Chacoan communities of a slightly earlier period. 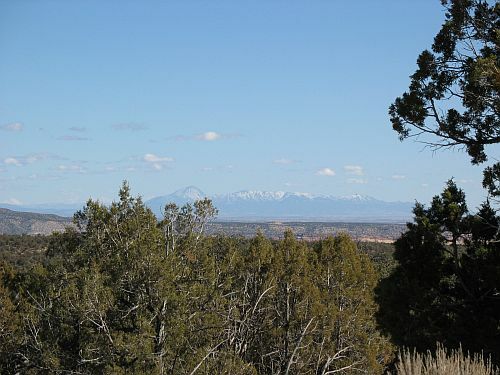 There is evidence for the survival of some Chacoan cultural and architectural forms in some areas long after the decline of the Chaco system proper, including in the Mesa Verde region, so it’s possible that this land use system was a Chacoan innovation. More research will be necessary to tell. Archaeologists often talk about land use in prehistoric societies, but they rarely present arguments like this with such obvious correspondences to modern concepts and practices. I doubt this is because such arguments could not be made. I think it’s more likely that archaeologists simply aren’t accustomed to thinking of the societies that they study as comparable to the society they personally inhabit in meaningful ways, so they don’t think to try to make such comparisons. This is a particularly straightforward case, of course, and not all studies of prehistoric land use and other issues will necessarily show such striking parallels to the concerns of modern planners, but it’s worth thinking about the possibility of such parallels when interpreting archaeological data. Until the archaeologists are ready to do this themselves, however, I’m happy to do it for them.